The City of Rovaniemi sits on the Arctic Circle, the capital of Finnish Lapland. 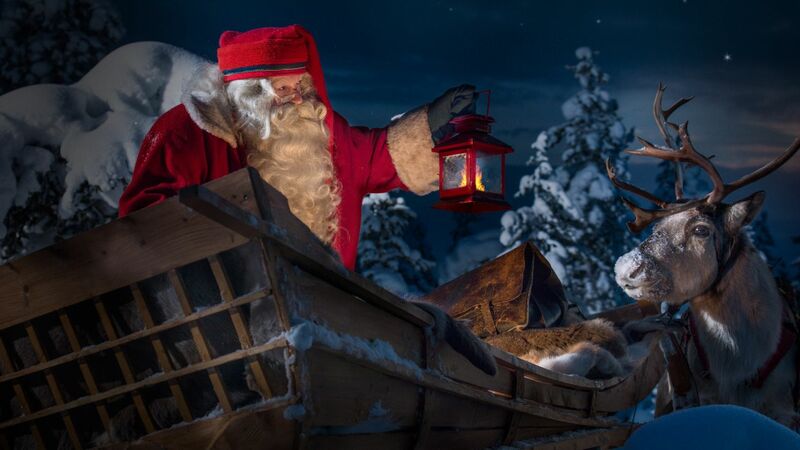 Around the world, people know Official Hometown of Santa Claus as the perfect destination for children of all ages. But Rovaniemi also features romantic Northern Lights vistas, award-winning hotels, an authentic and lively culture, and always: wilderness weaving through and waiting just beyond the city streets. Perhaps the greatest dilemma a traveler has is when they leave the airport: should you start with Santa? Head downtown? Dive right into the grand wilderness that awaits in literally every direction? Luckily, Santa Claus Village lies only 4 minutes from the airport. 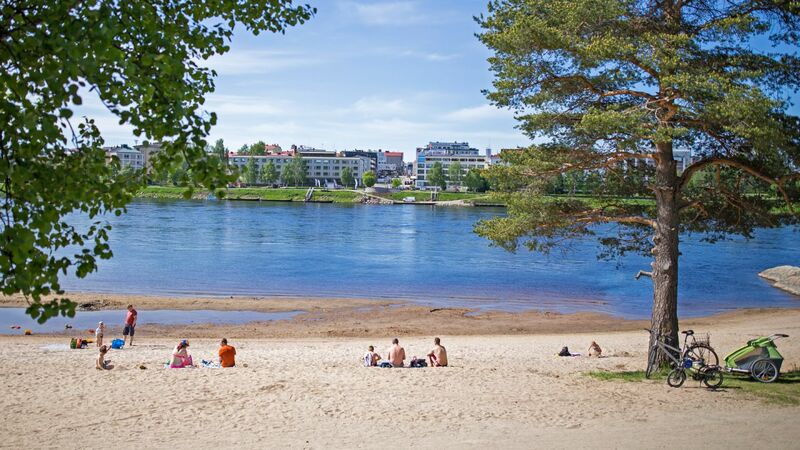 8 minutes to the south is Lapland’s largest city, Rovaniemi. 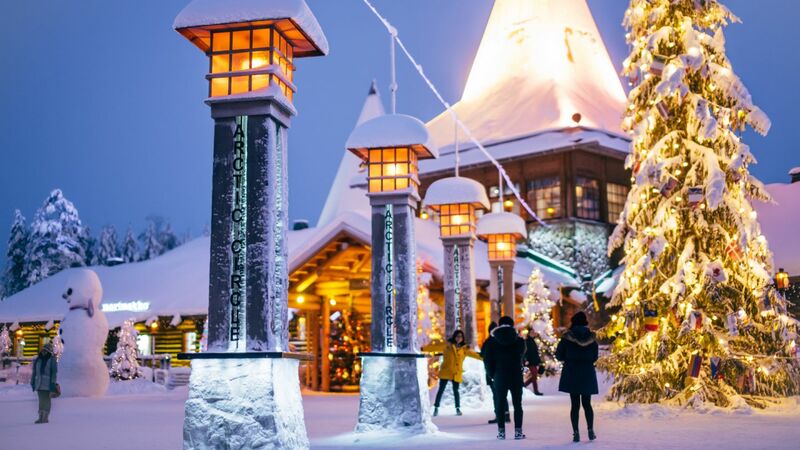 Santa Claus Village is open all year-round, and Rovaniemi boasts urban conveniences and comforts. And of course, the boundless nature of Lapland can be seen as soon as you step off the airplane. Santa Claus Village literally lies on the Arctic Circle. When you visit the small theme park, you can follow the line that separates the Arctic from the rest of the world. It travels through Santa Claus Office, through the shops, all the way to the highway. At Santa Claus Village, you can meet Santa for free every day of the year. It’s also a great inlet into your Lapland experience: reindeer rides through snowy back forest, snowmobile safaris across great white marshes, and snowshoe hikes wherever the urge takes you. In summer, visit reindeer and husky farms under the Midnight Sun, or organize a hiking trip on the edge of the Arctic. At Santa Claus Village, in addition to the Santa- and Christmas-themed shops, pick up a handmade silver necklace from Taigakoru. Try on a jacket made of reindeer leather. There are a number of factory outlets and local workshop stores to ensure you won’t leave empty-handed. Santa Claus Village offers extensive shopping and eating options all-year-round. As strange as it may sound, Rovaniemi is actually the largest city in Europe by size. 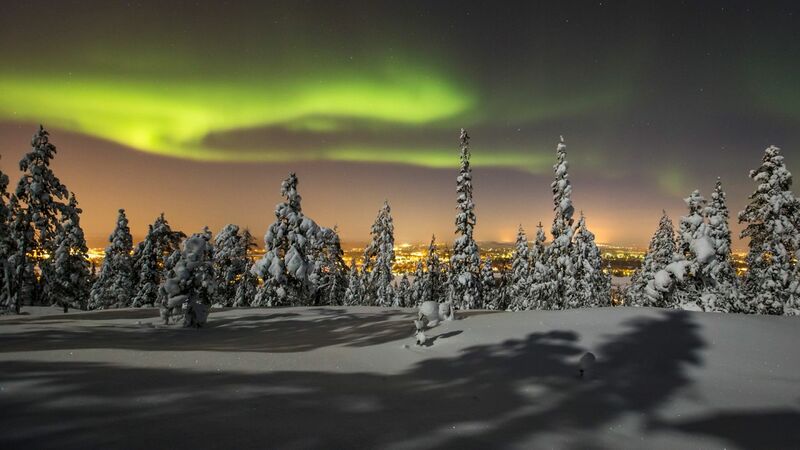 And as a growing tourist destination, the capital of Lapland combines shopping, dining and accommodation with wilderness experiences you can’t find elsewhere on the continent. The city of Rovaniemi is a few kilometers to the south of the airport (or a few hundred kilometers north of Helsinki). Because of the character of her people, her buildings and her atmosphere, she is sometimes called the Berlin of Finland. Every other street boasts a café–in case you didn’t know about Finns‘ adoration of all things coffee. Culture aficionados can visit the Rovaniemi Theatre, which stages more than 200 performances per year. The building itself is designed by the most famous Finnish architect Alvar Aalto. As a cultural hub, the city hosts a number of cultural and international events. There are also a broad number of museums and exhibitions throughout the year. Get your science on at the Arktikum Science Center or learn more about northern forests next door at Pilke Science Center. Enjoy a multitude of classical compositions with the northernmost professional orchestra in the world, the Lapland Chamber Orchestra. 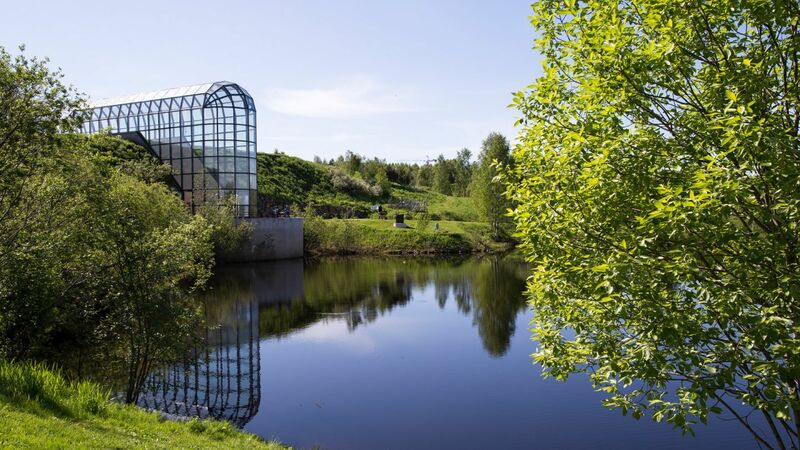 Or spend an afternoon exploring the Rovaniemi Art Museum at Korundi, a northern treasure trove of modern and contemporary art. If you’d rather spend your time checking out Marimekko and Iittala originals, the capital of Finnish Lapland also has shops galore, with three downtown shopping centers, as well as dozens of shops and markets. 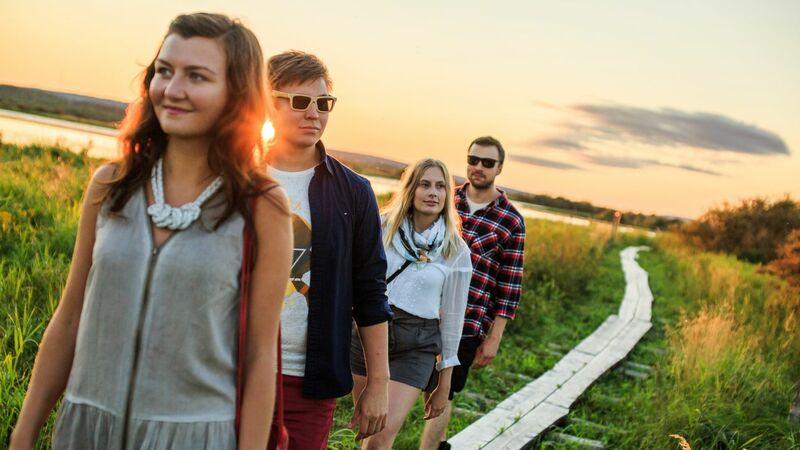 Those looking for a less material experience can take advantage of the dozens of wellness companies and activities organized in and around Rovaniemi and her ubiquitous natural spots. While downtown Rovaniemi bustles with experiences, you need only take a few steps out of town to find room to breathe, space to move, and broad expanses of rolling land and clear skies. In summer, hikers roam the hillsides and forests of Ounasvaara–only a five minute walk from downtown, or the riverside trail at Koivusaari, the Arctic Circle Hiking Area and more. Swimmers and canoers paddle the Kemijoki River, while those looking for more speed hop on a jet ski. In fall, sweet berries and delectable mushrooms emerge from beneath the falling leaves on every hillside and in the forest that wraps around the city and throughout the municipality. Winter brings snow and ice to cover the land, and the snowman sentinels begins guarding Santa Claus Village. The unique Lapland spring combines frosty weather and bright sunshine, turning Rovaniemi in the perfect place to ski for hundreds of kilometers, sled down cityside fells, ice skate in city parks, snow-shoe through vast and endless wilderness … you name it. In late spring, the ice in the rivers breaks up, making for dramatic photo opportunities. Looking for something more substantial than milk and cookies? Because Rovaniemi eats. Locals and travelers alike love the variety, quality and convenience of the cafes, restaurants, bars and nightclubs on offer in the city. Those looking for good food in a relaxed atmosphere will love the burgers and pizzas at Kauppayhtiö and the unique Lapas (Lapland Tapas) creations at Café & Bar 21. Koti Hostel Restaurant serves up a healthy lunch in a refitted old bank. As a cultural hub and mixing pot, Rovaniemi is also home to many international restaurants. The Chinese restaurant Hai Long is practically a landmark. Downtown also offers Indian, Thai, Sushi, Mexican, and French food, among others. Sometimes, only fine dining will suffice. For those seeking exquisite cuisine and exceptional service, Rovaniemi has multiple choices. Restaurant Nili and Arctic Boulevard combine traditional Lapland decorations with delectable northern dishes. The Sky Kitchen atop Lapland Hotel Ounasvaara offers an unparalleled view of the city and the river. 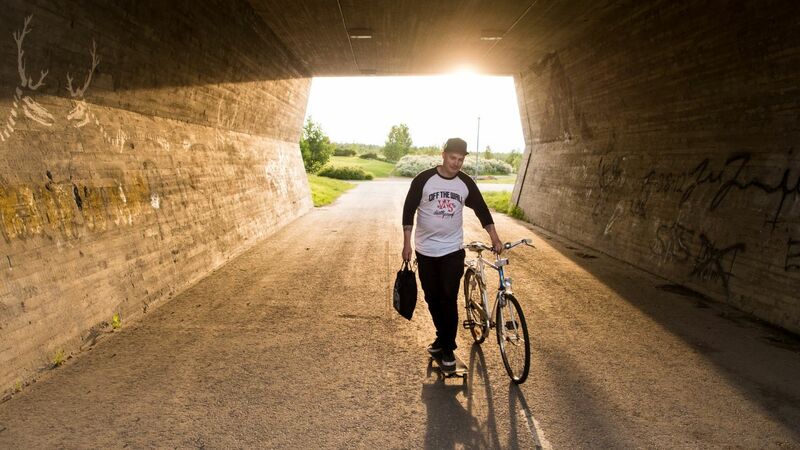 From hole-in-the-wall pubs where you can get a pint and relax in a booth to nightclubs where the music never stops, Rovaniemi nights are always alive. In the summer, downtown terraces are full of laughter and cheer, and in winter, the party moves indoors where it’s always warm. Every year, the number of beds, apartments and cabins grows in and around Rovaniemi. At Santa Claus Village, there are dozens of new wooden cabins, combining luxury and sleek Scandinavian design, all within walking distance of the forest or Santa Claus—your choice. Near SantaPark, the award-winning Arctic TreeHouse Hotel offers luxury and a unique vision, both of sleek Scandinavian design and of the Arctic landscape from your bedroom window. Downtown Rovaniemi boasts many hotels, from the top-rated Santa Claus Hotel in the city square to the Arctic Light Hotel, a modern boutique hotel located in the former City Hall. 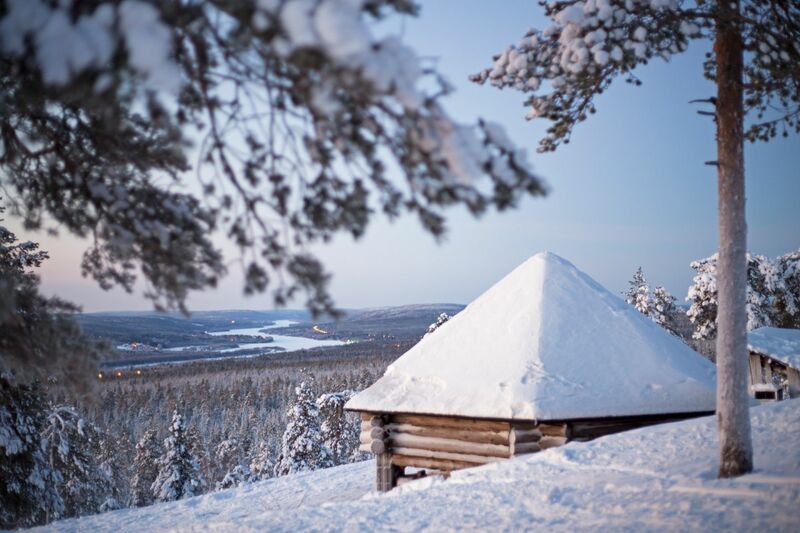 There are many accommodation options spread throughout the municipality, each with its own charms, conveniences and access to Lapland’s boundless natural offerings. Rovaniemi is also home to more glass igloos and glass wall accommodations than any other place in the world. There’s no better way to experience the Northern Lights weaving and waving in the sky. Rovaniemi is your gateway to Lapland and Arctic wilderness. As the most connected place in Lapland, Rovaniemi has an international airport with connections to other airports in Finland, Europe and the world at large. There is a bus terminal and train station with dozens of daily connections, both within walking distance of downtown. Additionally, there are plenty of private tour operators ready and willing to take you on the tailored Lapland experience you’ve always dreamed of. Need more Rovaniemi? Visit www.visitrovaniemi.fi, and follow the stories in Facebook, Instagram, Twitter and YouTube.